Spring is here and summer’s just around the corner; make sure you’re ready when it’s time to get out on the water, hike the trails, and enjoy nature. Here are some of our latest recommendations for enjoying 505 Ranch Club and everything the surrounding area has to offer. Just fifteen minutes from 505 Ranch, Purtis Creek State Park is a destination you'll wish you’d found sooner! Besides an awesome place to bike, hike, and camp, the park’s 355-acre lake is a true Bass fishing destination. Camping? With options for every type of camper, you can take your pick of the over 50 campsites with electricity and water, 5 walk-in tents, and 15 primitive camping spots. Down for a little thrifting before heading to 505 Ranch for the weekend? 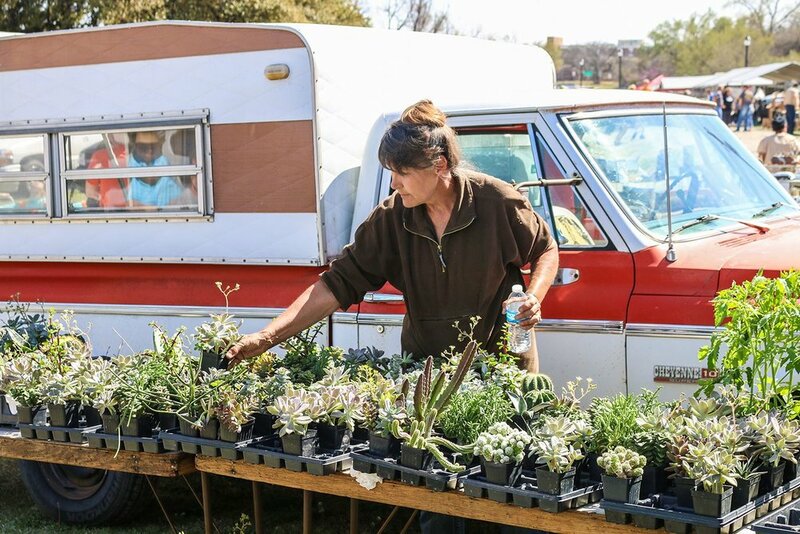 Try the biggest flea market in the US—right in our backyard. Canton’s First Monday Trade Days run Thursday through Sunday before the first Monday of every month. Last but not least is, well, the world’s biggest treasure hunt. Whether you realize it or not, there are millions of geocaches hidden around the world—probably some down the street from you now! Download the Geocache app on your smartphone, open the map, and get started. Happy hunting! At 505, it’s a spirit of adventure and a spice for life that sets us apart, and we try to bring that to all of our residents. 505 Ranch Club is an exclusive community of 56 private waterfront home sites set over an expansive, five hundred and five-acre ranch. With custom-built homes, each site has its own charm—but the same incredible view of the water. Schedule a tour now.